I just googled the origin of zucchini bread and it seems to be an American invention. Now all American readers of this will yawn, but I still can't hide my excitement about the fact, that zucchinis in breads and cakes are absolutely delicious. Although I posted a zucchini bread recipe a few days ago, I experimented some more and created this utterly and amazingly moist and yummy apple zucchini cake. I convinced not only my German parents (who have never had veggies in their cake apart from the other zucchini bread that I baked ) but also my 80 something year old grandparents of this amazing and healthy cake. 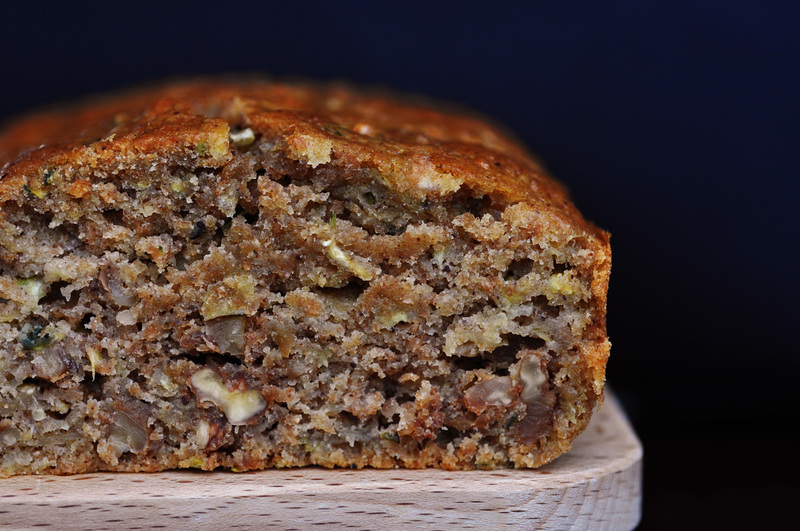 You will not detect the taste of zucchini at all, instead you will think this is a tasty apple cake with crunchy walnuts and a hint of cinnamon. Zucchinis have a high content of water (similar to cucumbers), thereofre are low in calories. They are rich in vitamins A and C and folate and fibre. What else would you want in a cake that is even good enough to impress your grandparents!!!! One thing is for sure: I will bake zucchini breads very often for the rest of my life. Preheat oven to 180C. Grease loaf tin or line with parchment paper. In a large bowl, sift together flour, salt, baking poweder and cinnamon. Ina another bowl, beat the eggs, Whisk in the agave syrup and oilive oil. Combine wet ingredients with dry ingredients. Stir in grated apples, zucchini and chopped walnuts. Pour batter into prepared loaf tin. Bake for 45 minutes. Let cool on wire rack.